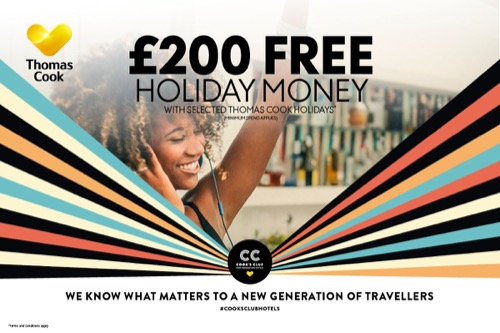 Book your next getaway with Thomas Cook and you could receive £200 of holiday money! Selected holidays only and T&Cs apply. *Offer applies to selected Thomas Cook package holidays departing from May 1st 2019 that include a stay at one of our own brand hotels (Sentido, Smartline, SunConnect, Sunprime, Sunwing, Casa Cook or Cook’s Club) where the minimum spend is £2000 per booking. Valid for new bookings only made at a Thomas Cook store. Offer can be changed or withdrawn at any time without notice. £200 holiday money will be issued to the lead passenger only on a Lyk Prepaid Mastercard® Card once the full holiday cost has been paid. Offer is not valid for online or phone bookings, and cannot be combined with any other offer or discount. Ask in store for full terms and conditions. All holidays are subject to availability and tour operator’s booking conditions. Thomas Cook retail stores are operated by TCCT Retail Ltd (company number 7397858), booking agent for Thomas Cook Tour Operations Ltd, (ATOL 1179, ABTA V6896). Lyk™ is issued by R. Raphael & Sons plc, pursuant to license by Mastercard International Inc. Mastercard is a registered trademark, and the circles design is a trademark of Mastercard International Incorporated. R. Raphael & Sons plc is a UK bank authorised by the UK Prudential Regulation Authority and regulated by the UK Financial Conduct Authority and the UK Prudential Regulation Authority (registration number 161302) and is permitted to issue e-money. Head office and registered office at 19-21 Shaftesbury Ave, London, W1D 7ED, company registration number 1288938. 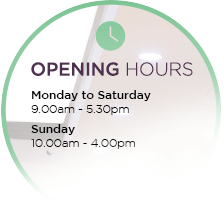 R. Raphael & Sons plc is not licensed by the Guernsey Financial Services Commission to take deposits. Deposits made with R. Raphael & Sons plc are not covered by the Guernsey Banking Deposit Compensation Scheme.